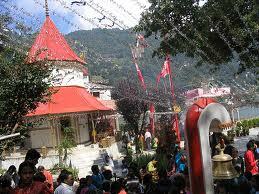 Naina Mata Festival will Coming 2013 in August Month.This Festival is Celebration In Nainita Himachal Pradesh state. 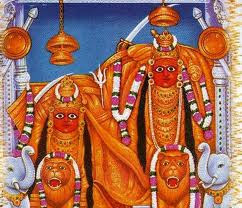 Wisdom,Wealth and Strength.Please shower your blessings on us." 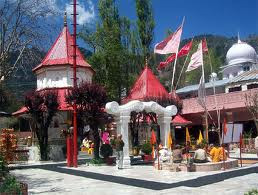 The Naina Devi Temple is an important pilgrimage and attracts thousands of devotees from far and near every year. The temple has an interesting legend behind it. 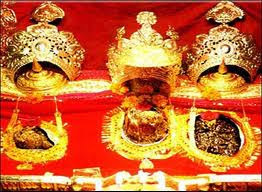 It is said that the eye of Goddess Sati fell over here and hence it has been named as Naina Devi. Naina means eye. 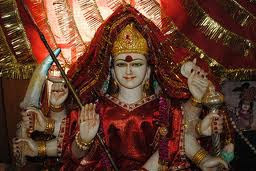 Sati was the another name of goddess Parvati and wife of Lord Shiva, jumped into the sacrificial bonfire. 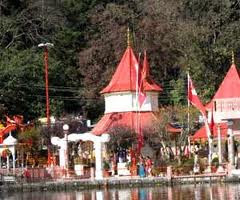 To mourn the death of his beloved wife, Lord Shiva carried the body across the country. ThenLord Vishnu unleashed his Chakra and cut the Sati’s body into fifty one pieces to save the earth from Shiva’s wrath. 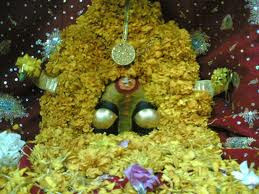 Parts of her body fell at various places which became sacred worship places for the Hindus. The temple here is said to have been built on the precise spot where Sati's eyes had fallen.The picturesque blue greenNaina lake located near the temple is said to be the eyes of Sati. 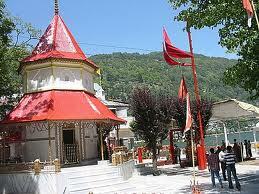 According to legend, Lord Shiva's consort Sati once burnt herself alive in Yagna to avenge an insult to Lord Shiva. The distraught Shiva picked her corpse and gyrated his horrified dance. 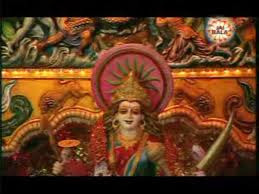 Then Lord Vishnu unleashed his Chakra and cut the Sati's body into fifty one pieces to save the earth from Shiva's wrath.All the fifty one places - where parts of Sati's body fell, became known asShakti Peeths It is believed that Sati's eyes fell at the place where this temple is situated. 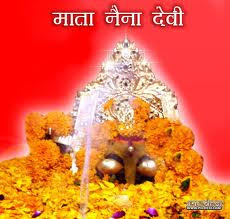 Therefore, this temple is called Naina Devi.The word Naina is synonymous with Sati's eyes.